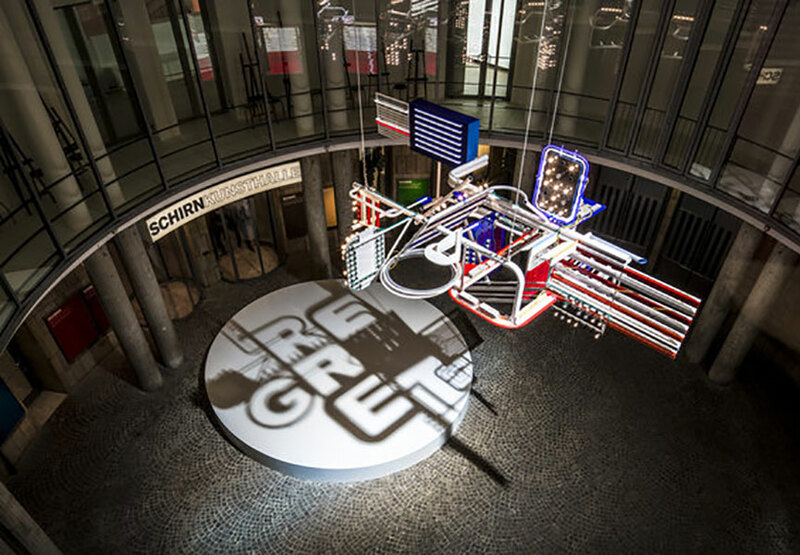 One of the most influential and significant German contemporary artists Tobias Rehberger is showcased in Schirn Kunsthalle Frankfurt. 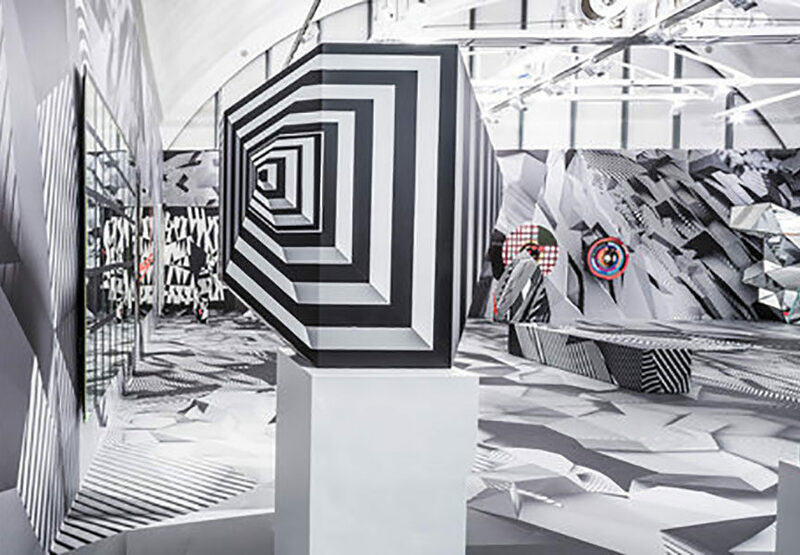 The exhibition titled “Tobias Rehberger: Home and Away and Outside” is dedicated to showing a holistic overview Rehberger’s work. The exhibition encompasses 20 years of superior creation in over 60 works of art. 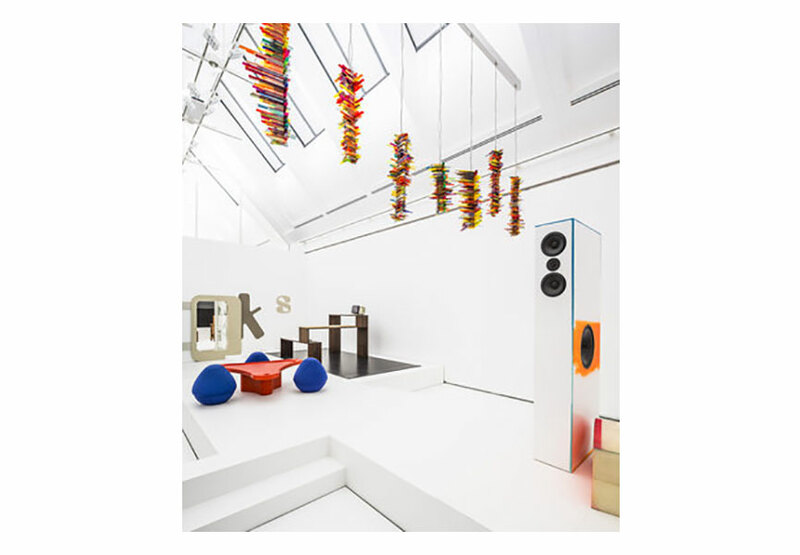 The work was selected and curated in close cooperation with Rehberger and is presented in 700m2 exhibition space. 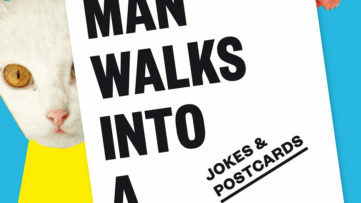 The exhibition began February 21st and will run until May 11th. 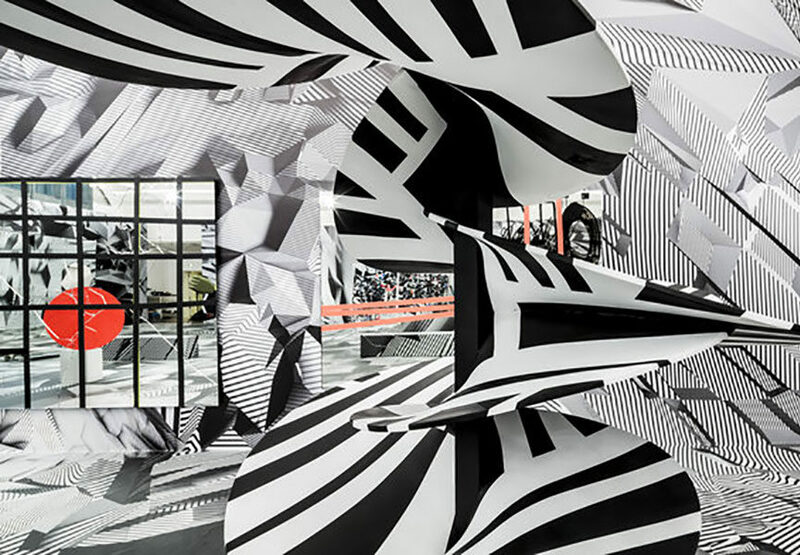 For the exhibition Rehberger drew up a complex exhibition-architecture that guides visitors through the various development stages of his artistic career. At the beginning the show presents a continuation of Rehberger’s artwork “Was du liebst, bringt dich auch zum weinen” (what you love, will also make you cry), which he presented in 2009 at the 53 Venice Biennale. 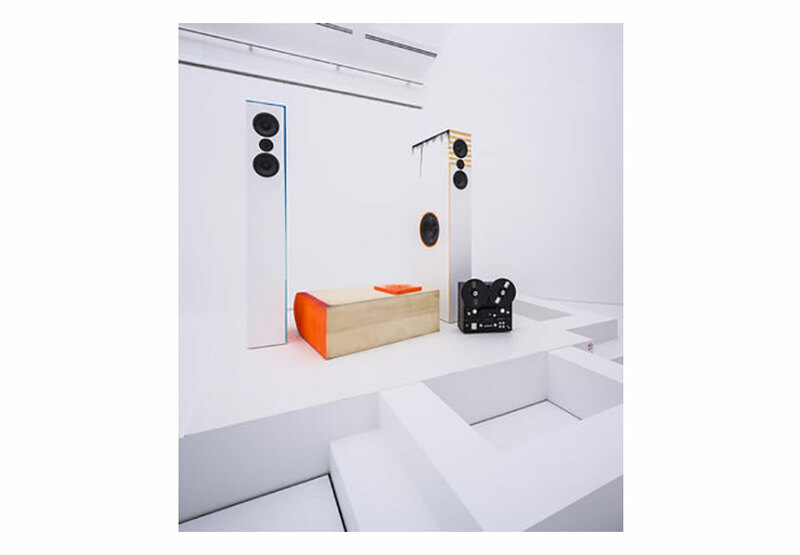 For the exhibition at SCHIRN the curators have occupied an entire room to showcase the prizewinning installation. 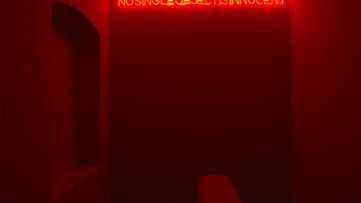 The room is equipped with a light installation that was created used the Dazzle Technique (used by battleships in WWI). 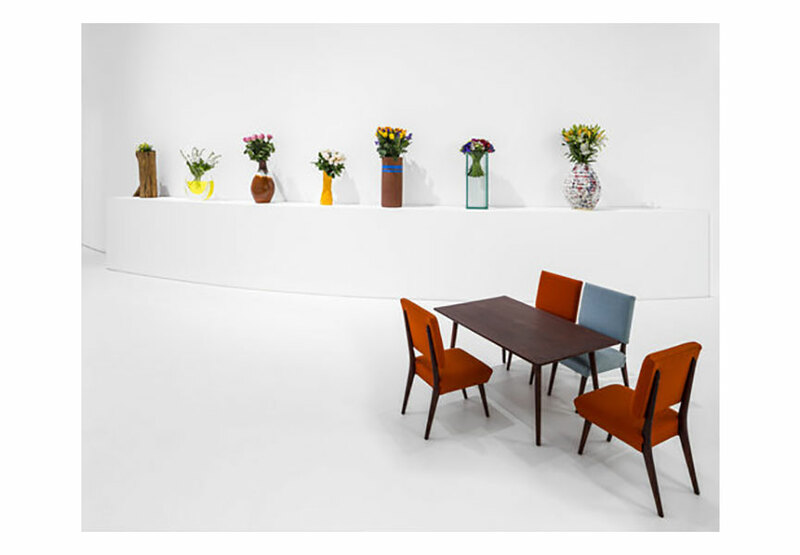 The second part of the exhibition is in crass contrast to the dazzling colors and light of the first. 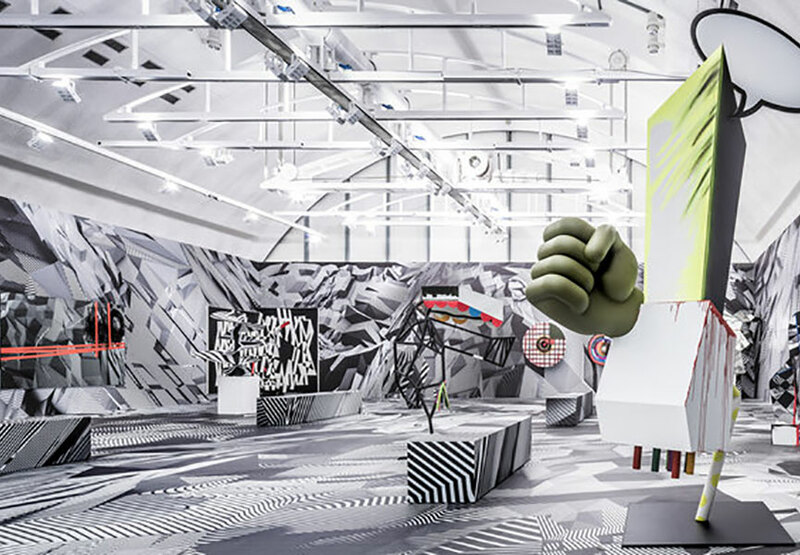 Tobias Rehberger and curator Mathias Ulrich have created and architectural landscape that that challenges the perception of podium, socket, seating and runway. This section covers the entire west wing of the gallery. 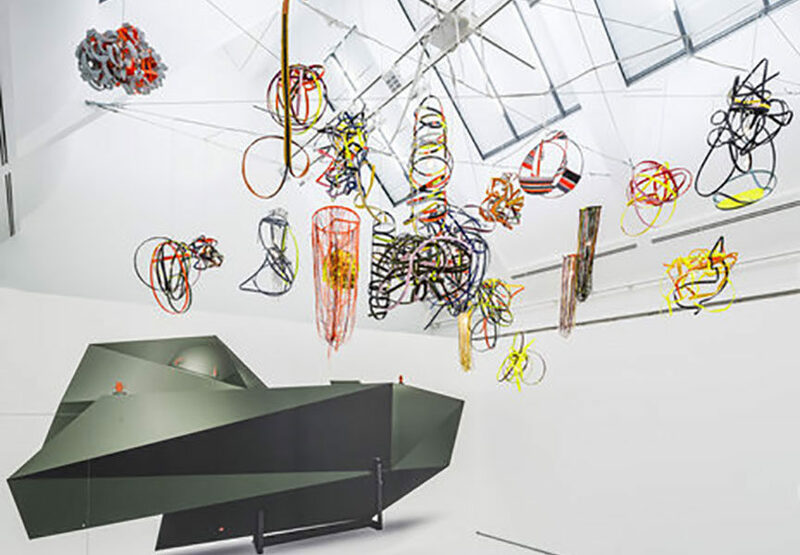 For the third part of the exhibition Rehberger conceptualized a large-scale sculpture that was placed in the freely accessible rotunda. This allows for the exhibit to be viewed from all sides and angles. 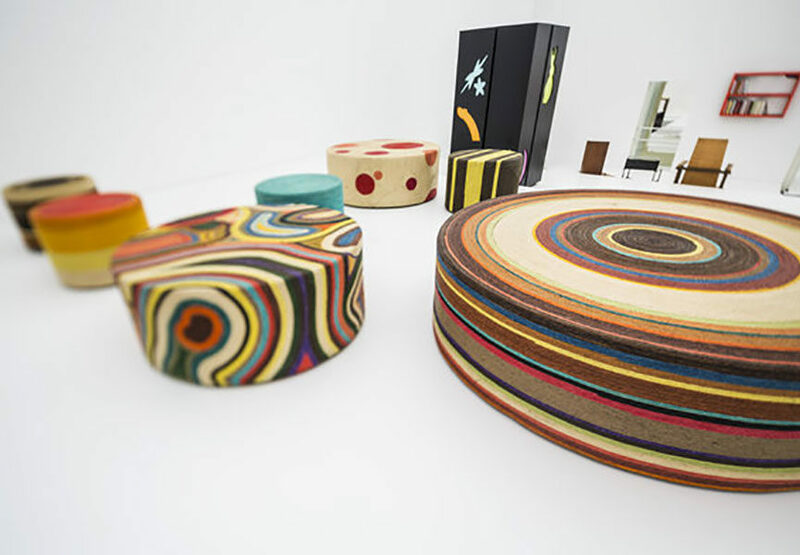 The three-part exhibition presents the diversity of Rehberger’s creations: Exhibiting extraordinary work ranging from his designs concepts “Kamerun- und documenta-Stühle”; to his vases that build on the 9 part series “one”; up to the project “Fragments of their pleasant spaces (in my fashionable version)”. 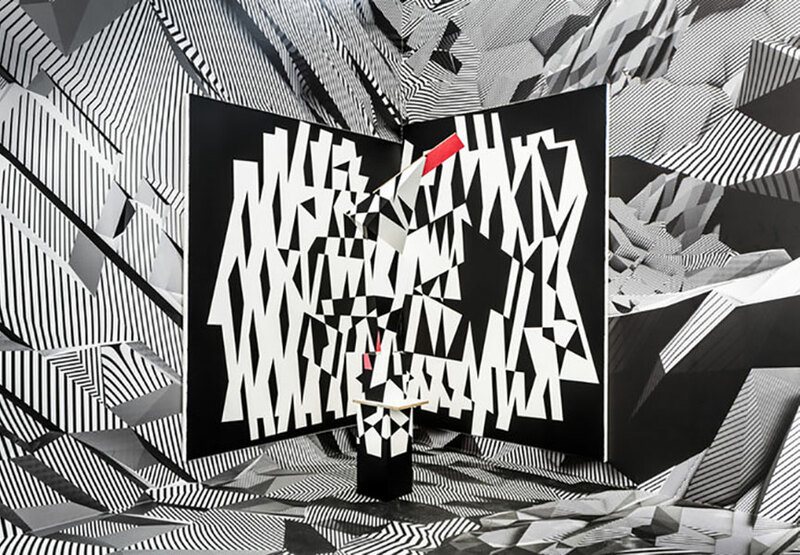 Tobias Rehberger; Home and Away and Outside is a retrospect of artwork by one of the important German contemporary artists.